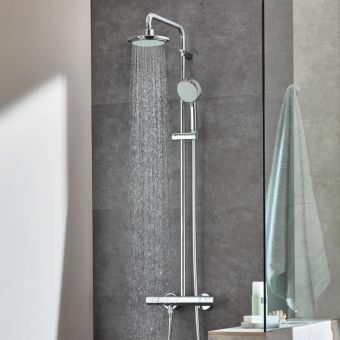 Leading bathroom manufacturer VitrA have developed this fantastic all-in-one shower column that combines all the luxury and enjoyments of a modern 3 water outlet shower, without the need for complicated and time consuming valves and other pieces in addition – this is all you need in one pack! 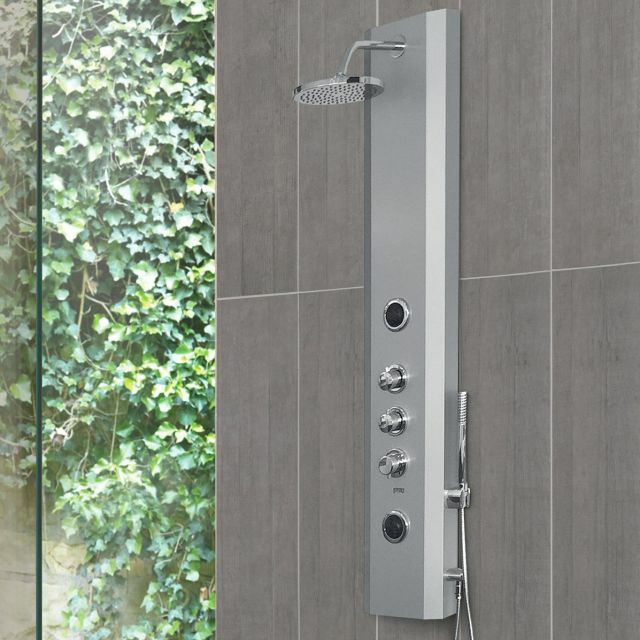 The shower column is ideal for retrofitting thanks to its simple aluminium composite housing unit that conceals all the clever pipework that diverts the refreshing water feed from 1 of 3 outlets. 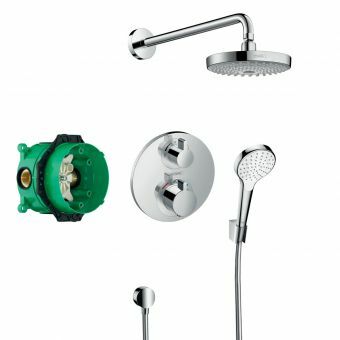 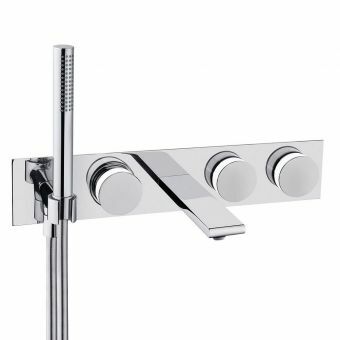 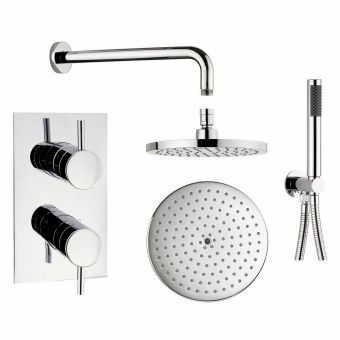 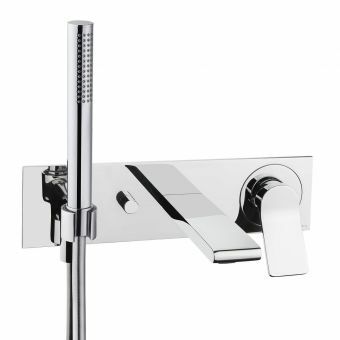 Choose from a classic overhead shower for general showering, a useful side hand shower which is great for thoroughly rinsing hair, or simply showering your body without the need of wetting your head from above, or for washing the bath or shower tray down thoroughly – there are so many useful jobs for this handset! 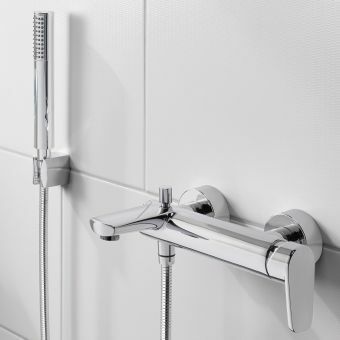 The third outlet are the fantastic body shower jets which massage you muscles and wash down your body, something that is normally reserved for pricey gym and spa bathrooms, the body jets are ideal for a soothing evening shower, or for a post workout refresh! 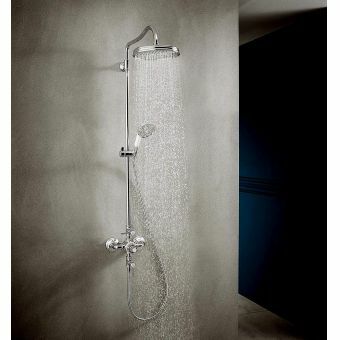 You can now enjoy this luxury in your own home with the VitrA Move Shower.